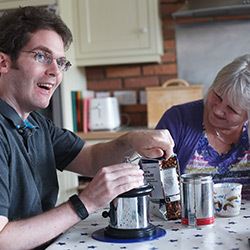 What is Carer’s Allowance and who can claim it? Returning to school after a brain injury can be a difficult and challenging time for children and their families. Ensuring in advance, that the right support for your child’s specific needs is in place, is key to easing the transition back to formal education. As part of a series of articles focusing on education following a brain injury, Laxmi Patel, from Brain injury Group member law firm, Boyes Turner, explains what can be done to smooth the re-entry in to the school environment. A return to school may be seen as a sign of returning to normality and whilst it is a positive step, it is the next stage of rehabilitation, one that comes with its own set of challenges and one that must be planned carefully. Good communication and planning with the school is key to successful re-integration. It is likely to be an emotionally difficult time for the child. They will be back with their friends who do not perhaps fully understand the extent of what has occurred and who will not see their ‘invisible’ injuries. They will likely expect to pick up from where they left. As the child realises they are unable to do as much as before or that they get extremely tired, they are likely to struggle with self-esteem, confidence and emotionally. Schools who do not understand the full extent of the brain injury may label the child as ‘naughty’, disruptive, lazy or rude. The problem may be exacerbated by peers and sometimes other parents. How can parents and the school help a return after brain injury? All mainstream schools will have a Special Educational Needs and Disability Coordinator (SENCo / SENDCo) with whom parents can discuss their child’s brain injury and how it may affect their learning. Ideally, the SENCo or Head teacher should be invited to attend discharge planning meetings before leaving hospital. The school will then have the benefit of information given directly from medical professionals. Any questions or concerns can be discussed directly with medical staff which may help to understand the underlying problems from the outset. The aim is to get the school, usually through the SENCo, involved early on and to share relevant medical reports with them. This should be done even where the symptoms do not appear significant as sometimes the effects of the injury become more apparent later and it will be important for the school to be prepared for this. The SENCo may need to take a lead in training/arranging training for school staff, preparing the child’s peer group and in the purchase of specialist equipment. Any planned return to school should be carried out with parents’ and the child’s full involvement. It is probable that the child may, at first, be placed on Special Educational Needs (SEN) Support. On SEN Support parents should expect to be full participants in discussions around the support their child requires. The SENCo should arrange for assessments to be conducted if more information is required, plan the level of support, deliver the support and review it with parents. The support and progress should be carefully monitored, perhaps initially every six weeks, so that changes can be put in place and any emerging problems can be picked up immediately. If it is likely that the child’s difficulties are going to be significant when they return to school or if it quickly becomes apparent that more help is needed, then parents or the SENCo should consider requesting an Education, Health and Care Needs Assessment from the home local authority. This should, ideally, be started before the child returns to school so that support is in place from the beginning. The assessment process resulting in an Education, Health and Care Plan (EHCP) should take up to 20 weeks to complete and often takes longer so parents should start the process early if it is evident that a Plan is going to be needed. If you have concerns about your child’s education following a brain injury, Brain Injury Group have specialist education lawyers who can assist.